Before Donald Trump’s promise to Make America Great Again and govern by the principle America First there was a movement that proclaimed the message of America First. It was a movement that was led by men like Charles Lindbergh as well as many isolationist politicians, mostly Republicans. 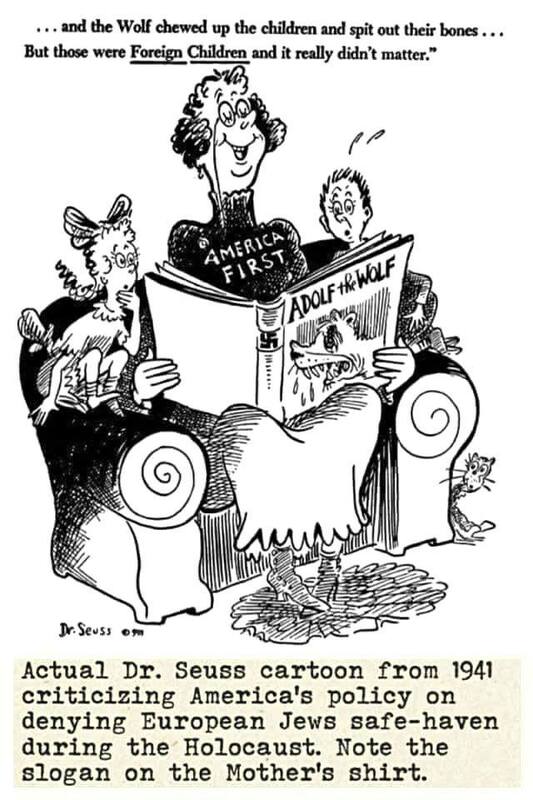 It advocated a policy favorable to Nazi Germany and fought against the immigration of any Jews to the United States from Germany or Nazi occupied Europe. Lindbergh blamed the Jews as well as the British, and the Roosevelt administration for the war more than he did Hitler, and this was in his Des Moines speech of September 11th 1941, after two years of war and Hitler’s ruthless war of conquest. That my friends is the root of the America First message. It was demonstrated in the Trump Press Secretary, Sean Spicer’s words in the immediate aftermath of the Syrian chemical attack on its own citizens in which Spicer said that Hitler had not even done that, ignoring the fact that Hitler’s henchmen had gassed millions of Jews. 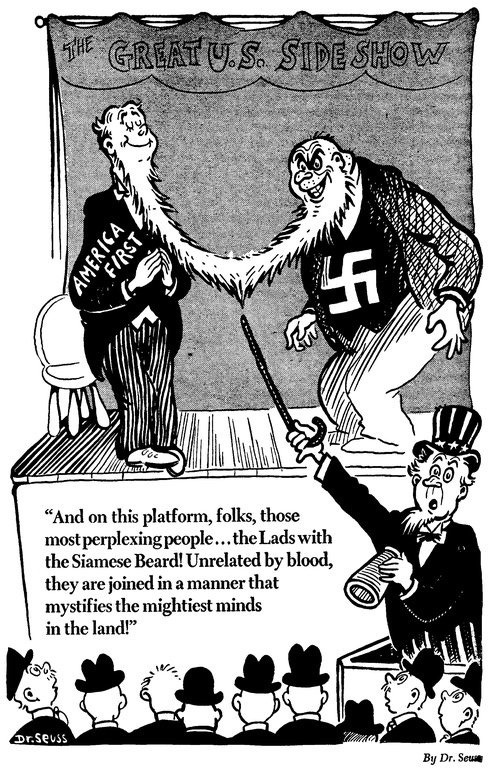 When he attempted to correct himself he only dug himself in deeper by talking about “Holocaust Centers.” While they did not use it against enemy soldiers, they used it against their own people first, beginning with the disabled, then the Jews, both German and those in countries that they overran. It was evident in the administration’s statement on Holocaust memorial day which did not mention the Jews. One only hope that the President when he speaks today about the Holocaust will be somewhat more clear about who the primary targets of Hitler’s Final Solution were. Yes, many millions were killed or starved to death by the Nazis, but it was the Jews who were the target of Hitler’s race hatred from the very beginning. I hope that the President will rid himself of this terrible America First ideology, for it has nothing to do with true patriotism or the ideals of those who founded our country. With that I will wish you a good day.